May 3, 2018, 1:41 p.m. The telco market is in development mode, discussing 5G technology, business models, and how to address enterprise verticals. This is normal activity in a technology refresh cycle, but as cellular generations progress, the discussion broadens: 5G is not just a technology evolution, but is also positioned as an end market enabler, contrary to 3G and 4G, which were faster and more efficient access technologies. As these discussions expand, the implications are that 5G is starting to affect new areas that were previously left untouched, such as geopolitics. Are these concerns valid or is 5G’s dominance being used as a circumstantial argument to back different interests? The geopolitical aspect of 5G is a new mainstream development, which was less pronounced with 3G and 4G. Several governments are claiming that being a 5G early adopter will provide a global technical superiority, but this is not the case. At least it is not clear yet if early movers will benefit from early 5G deployment or if they will suffer due to technology immaturity. 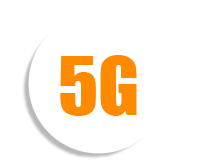 China is currently perceived as the dominant nation in 5G developments, driven mostly by the central government’s strategic investment in 5G as a pillar of its industrial evolution. This means that China Mobile, China Telecom, and China Unicom (all owned by the Chinese state) will likely receive incentives, subsidies, and other financial aid to deploy 5G across China. The Chinese government considers 5G to be one of the pillars for its “Made in China 2025” program. Therefore, this region will likely be the first to experience 5G as it was originally designed: an industrial connectivity platform that provides much more than a faster pipe. This does not mean that 5G technology will be made in China, but it will be a key component of the country’s strategic “Made in China 2025” plan. The golden question everybody asks is: will China develop the intellectual property (IP) or at least own the majority of 5G IP, or will it rely on others’ IP as it did with many other technologies, playing the role of the market incubator for 5G deployment? ABI research believes the latter scenario is the most likely option. Contributions to 5G Intellectual Property Rights (IPR) will likely be split evenly between the US, Europe, and Asia-Pacific. Qualcomm will be the dominant US contributor, Huawei, ZTE and Samsung will dominate contributions from Asia-Pacific, and Nokia and Ericsson will be the biggest in Europe. In fact, initial 5G networks will likely be built on top of existing LTE-Advanced Pro deployments, meaning that patents for previous cellular generations will surely remain relevant. Although China will probably drive 5G deployments, it will surely use technologies developed around the world, not only in China. Another misconception is that an early adopter of 5G technology will have a technical advantage over other continents or nations. This will only be likely if 5G is used as a piece of a much broader, nationwide coordinated digitization effort that is deployed across all enterprise verticals. This is problematic and almost impossible to implement because different verticals will be in different digitization stages (e.g., the healthcare vertical will have different priorities compared to the manufacturing segment). In the embryonic stages of 5G deployments, networks will likely be incremental upgrades of existing technology, business models, and operations, because operators cannot deploy a new network on a “build-it-and-they-will-come” basis without crystal clear visibility in these areas. In other words, China does not compete with the United States or Europe with 5G deployments. Yes, it does compete in IPR, but technology development is not radically different compared to 3G and 4G. In fact, Western European and U.S. companies are the most important influencers and developers of 5G and this will likely remain the case for many years to come.